Former Trinity Number 8, Sri Lanka flanker, National Fifteens’ skipper, and present Kandy SC Head Coach Sean Wijesinghe feels the new system adopted at the last Council meeting of Sri Lanka Rugby (SLR) is unfair for most of the clubs. Speaking to Daily FT, he said: “This would be my personal opinion on foreign players, not as the official from Kandy. I’m not speaking on behalf of my club. I think as a former national captain, I do believe I have the right to express my opinions on this matter. If foreign players are recruited for the local domestic league on the grounds of uplifting the standards, and provide the best return on sponsorship money, it might be just a good start. However, saying that, it has to be fair. 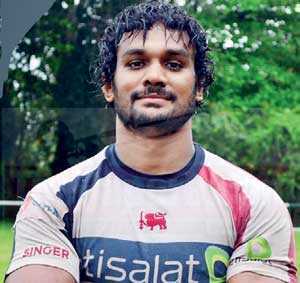 Speaking further, Wijesinghe said: “Playing with foreign players in key positions will affect Sri Lankan rugby. There won’t be opportunities for cultivating good talent in the system, and when we go to play at Asian or International level, we will struggle to fill in these positions with experienced players. The best example is Japan, they kept the core always local, to develop their game.